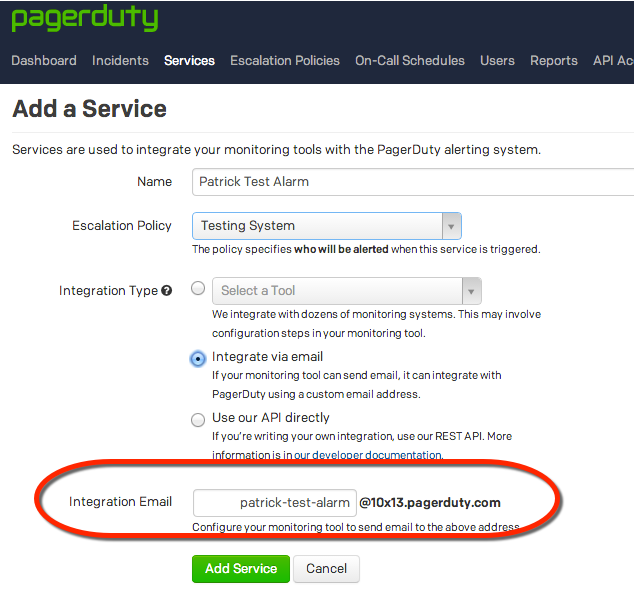 This guide will walk through setting up a Twilio phone number which when called with send an email to a pagerduty email service. 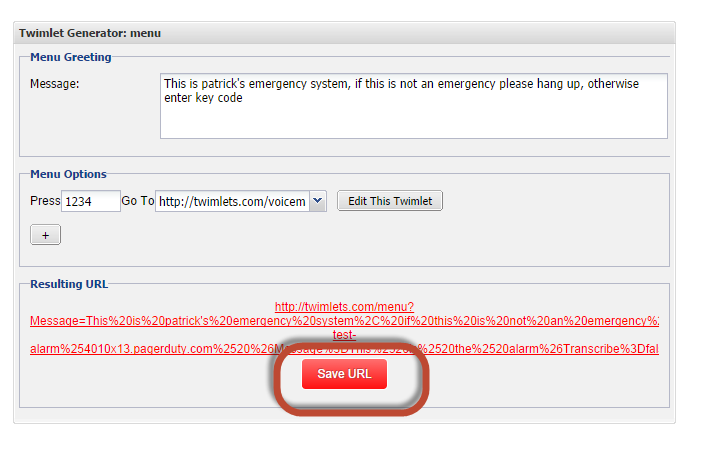 This effectively gives you an emergency call number! I call it version 1, because I feel there are far better ways to do this, but in the meantime this works. 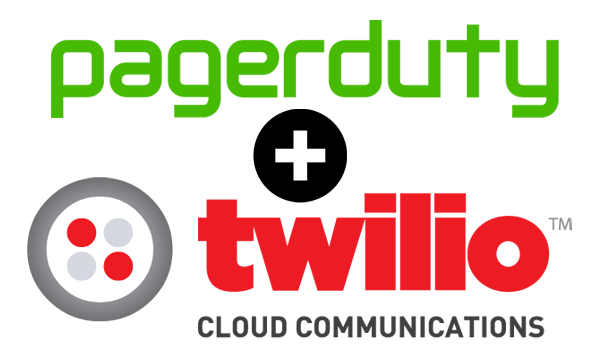 This guide assumes you have a Twilio and pagerduty account set up. This service will now be activated. 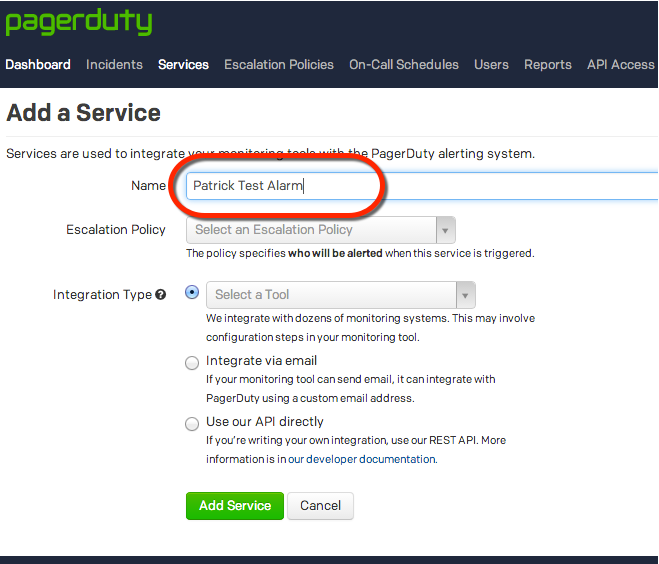 Send an email to patrick-test-alarm@10x13.pagerduty.com and it will activate. If you look closely at the alert you will see this. 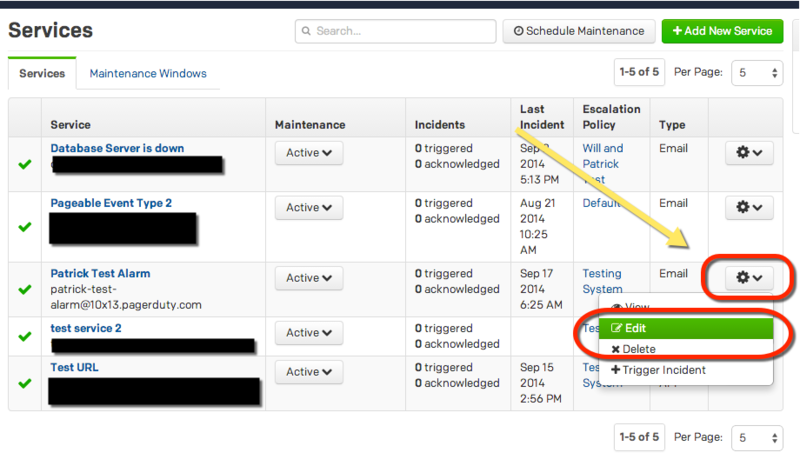 This means a new incident will be triggered only for emails with different subject lines in them. I can see problems with that so I am going to change it. 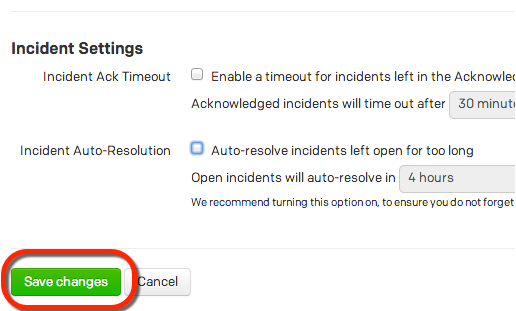 Select "Open a new incident only if an open incident does not already exists"
This will allow all alerts in, but if you are currently working the issue it will not alert you again and again. I changed these settings as well. 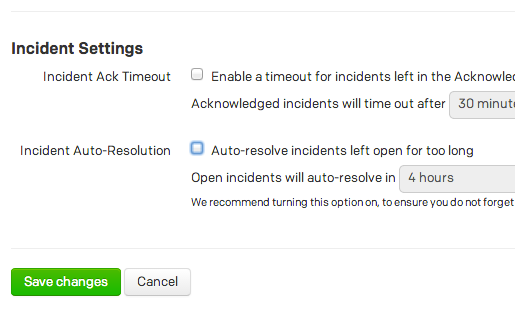 I un-checkbox both the Incident Ack Timeout and Incident Auto-Resolution. I make a point of this because I think its an odd default behavior. 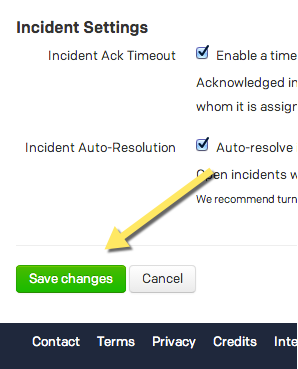 I would think pagerduty's default would be to have both these unchecked. 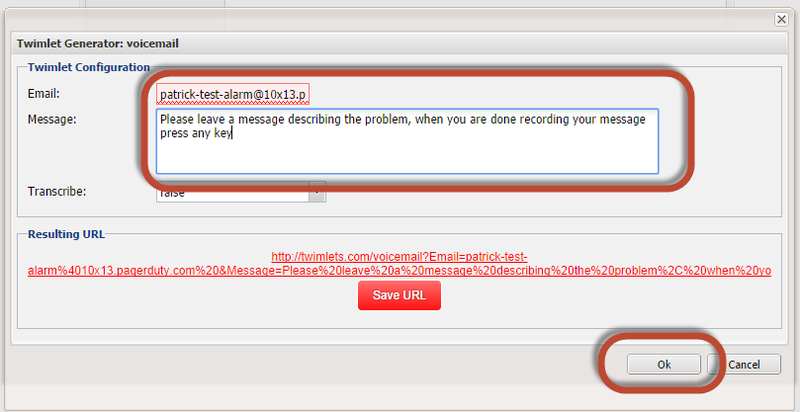 Send an email to active the alert. The subject of the email will be read back to you but not the body. 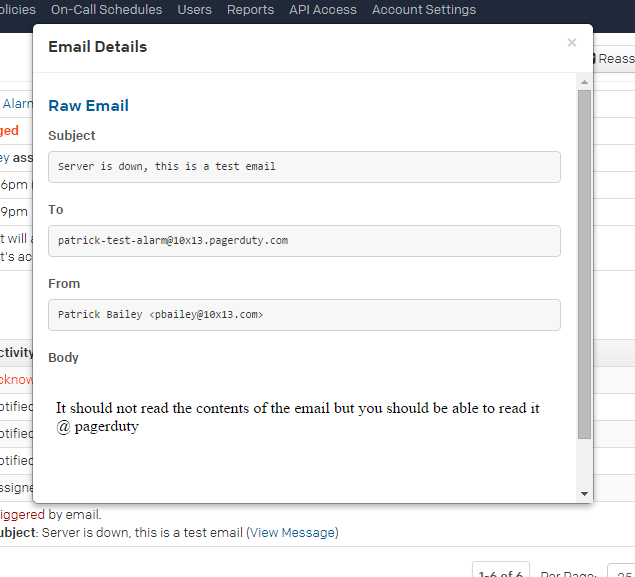 A pop up will show the email that was received, including the body. 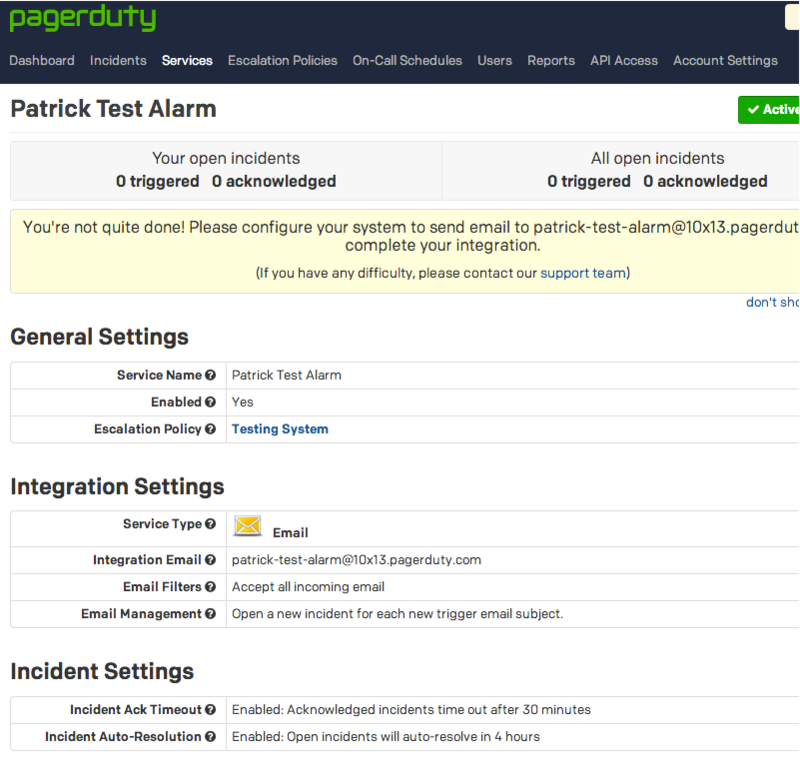 I have service in pagerduty that triggers when I send an email to patrick-test-alarm@10x13.pagerduty.com . 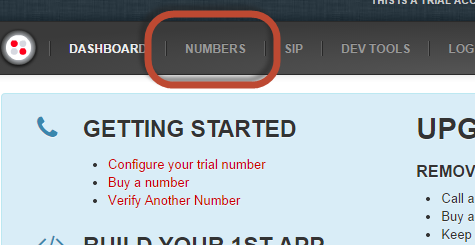 Now I just need to set up a Twilio number that accepts a call and creates an email that is sent to this address. 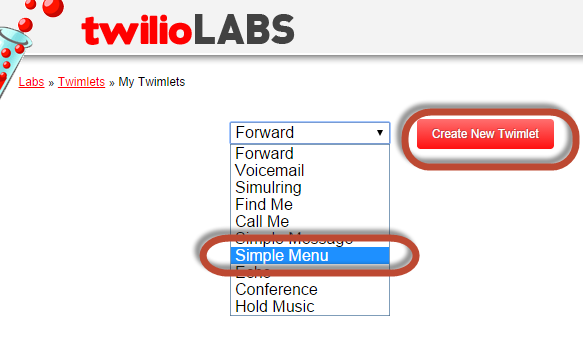 I will do this with a Simple Menu Twimlet. 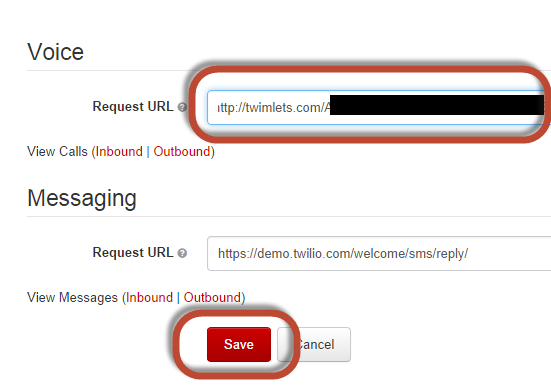 Enter a message you want Twilio to read back to your caller. Enter menu option key code. This is really meant to be a menu, press 1 for this, press 2 for that… etc. But I can use it for another purpose. In this case you have to press 1234, the key code, before it will do the next thing. 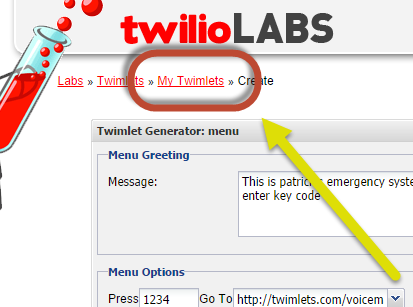 If an incorrect key code is entered nothing will happen. 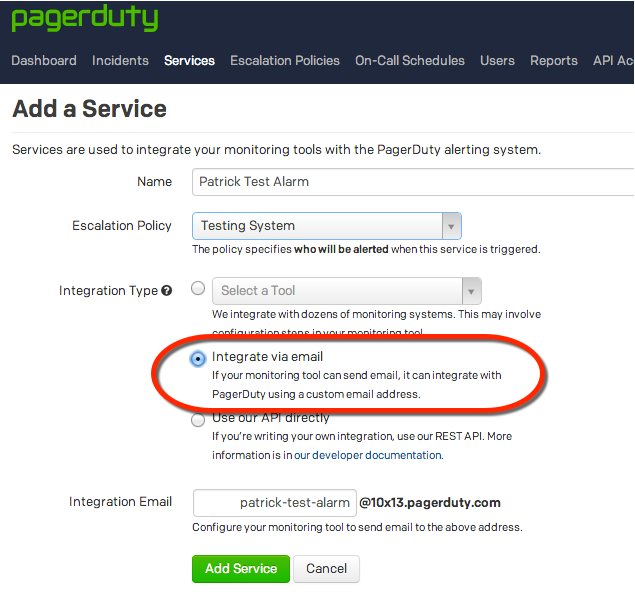 Enter the pagerduty email and a message and click OK. 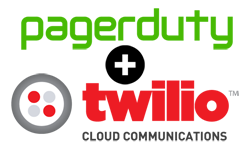 Warning: I have had mixed results with this, at one point Twilio would not email pagerduty for some reason, so I had to route it through another email. But it seems to be working since then. Give this twimlet a name and click Save. This twimlet is associated with your twimlet account. 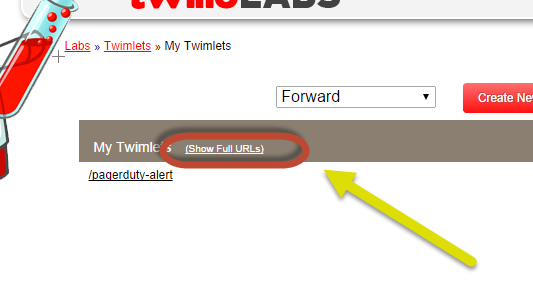 Enter the URL in the Request URL and click Save. Call the number and test it. Here is a recording of my call. 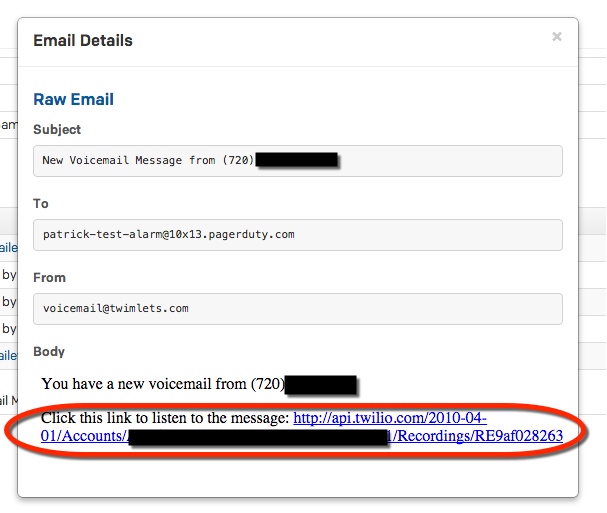 Opening the email in pagerduty I get a link to the call Twilio recorded. Here is the Twilio recording I got back. 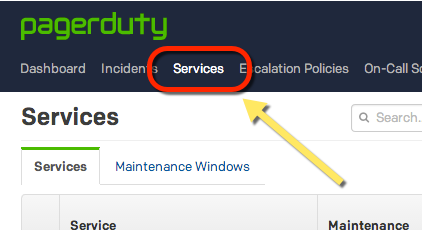 Here is the actual call I got back from pagerduty. 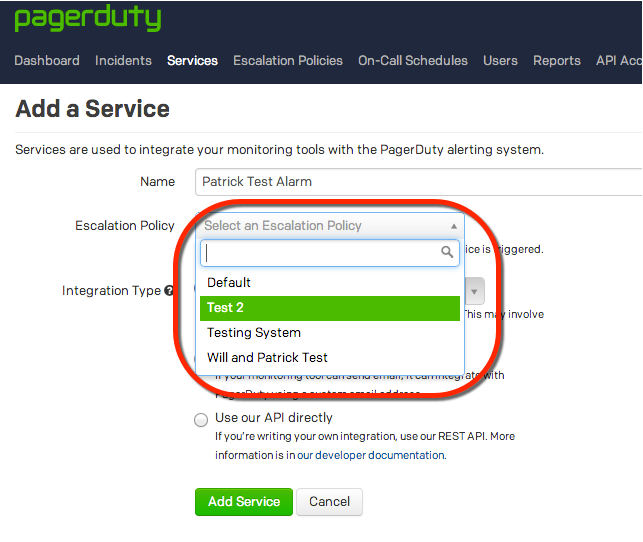 Pagerduty allows you to set up regex filters on email services. You can filter on subject, body, and from address. 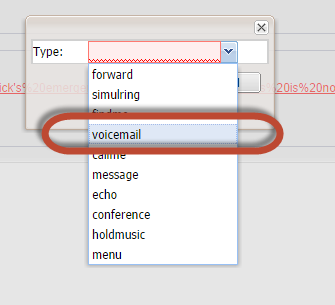 Looking real quick at the email I received from Twilio it was sent by voicemail@twimlets.com. 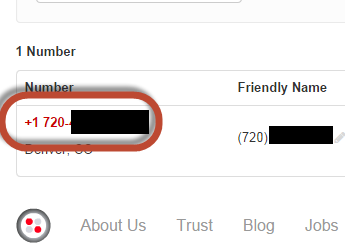 My idea is to only let emails from this address through. 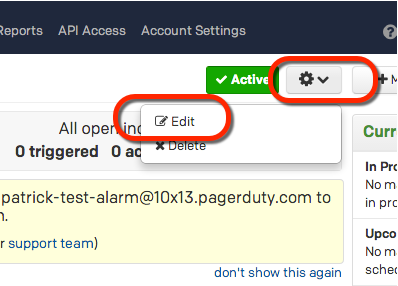 To set the regex first click on edit from the config pull down for your service. 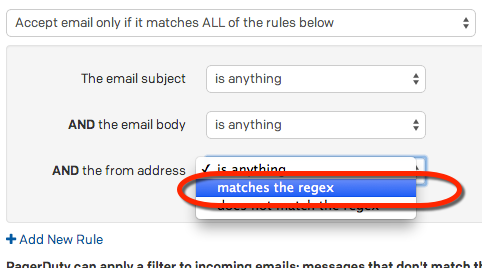 From Email Filters select "Accept email only if it matches ALL of the rules below"
in the from address select "matches the regex"
If you want to do some more complex regex I found this site http://regexpal.com/  which may be a good place to test you regex. 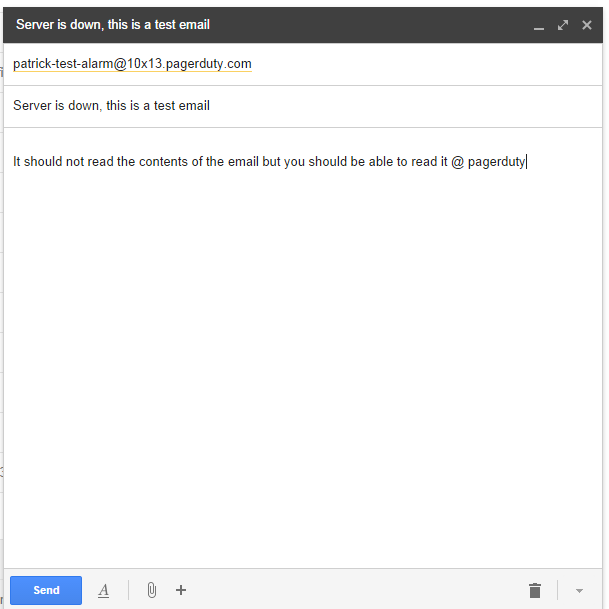 I tried to send an email from my gmail account to patrick-test-alarm@10x13.pagerduty.com … and no incident was triggered, also no return email, rejecting the incident (that would be a handy thing to have). 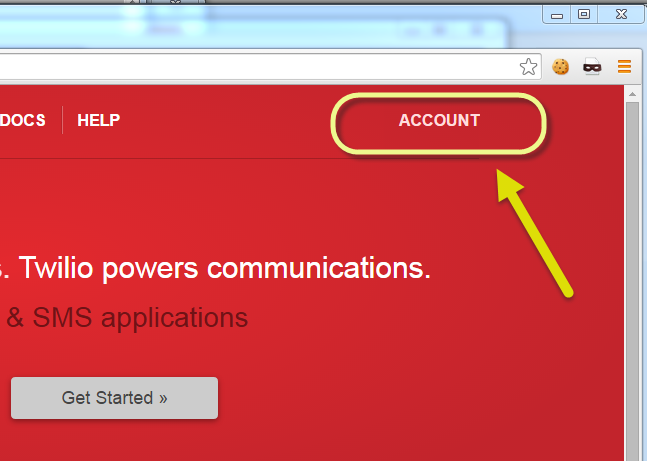 But if I call into my emergency Twilio phone number… it works just fine. 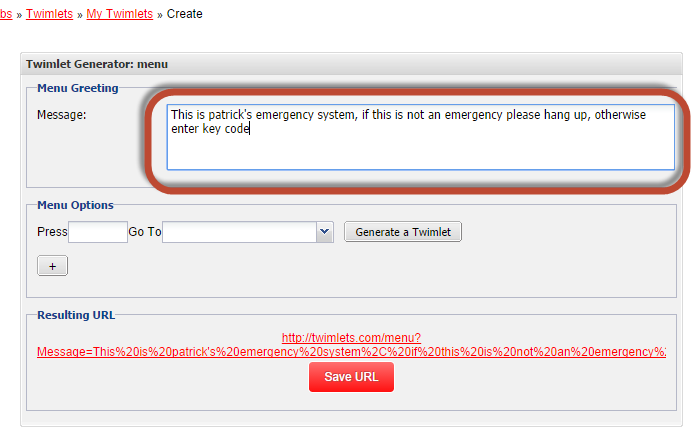 You now have the tools you need to create a simple emergency number. 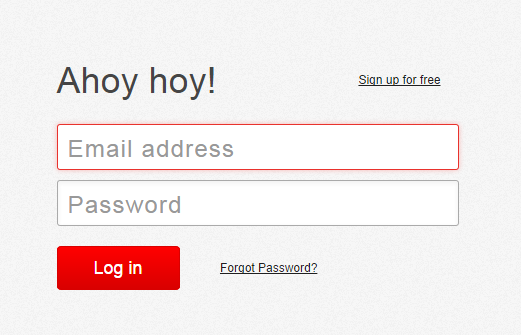 To me, it does not feel like a long term solution … I don't like the idea of relying on email. However I think it’s a great place to start! · Call back the person who called in to tell them who has acknowledged the incident and when it has been resolved.